Get your Warm Ups and Custom Gear through TSR and Apparel through Squad Locker. TSR Store closes 4/30. TSR Team Store Now Open! Purchase Warm ups and Custom Gear! We are happy to announce the addition of Viktoriya Mykolenko Spencer as our U19 coach! Vika, who is from the Ukraine, played club hockey for the Charles River Blazers. She went on to play at Proctor Academy where she was named MVP her senior season. 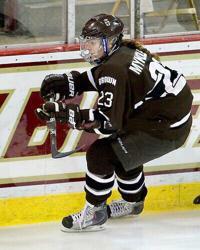 Vika continued her playing career with the Brown Bears, graduating in 2012. She has both coached and been a Power Skating Instructor for Boch Ice Center. She works currently as a Finance and Accounting Manager in Boston. We are happy to bring her knowledge and experience to our girls for the upcoming season. We are also excited to announce Taylor Wenczkowski will be joining our U16 Red coaching staff. Taylor has been a coach with Premier Hockey for 3 years and has an extensive playing background both in the JWHL and NCAA. There are limited openings at the U10 and U12/14 Select Levels. Please email Andrea@newenglandwildcats.com for more information. U10's have a 4-0 weekend to win it all at Jay Peak! Register now for the NHGL Summer League! 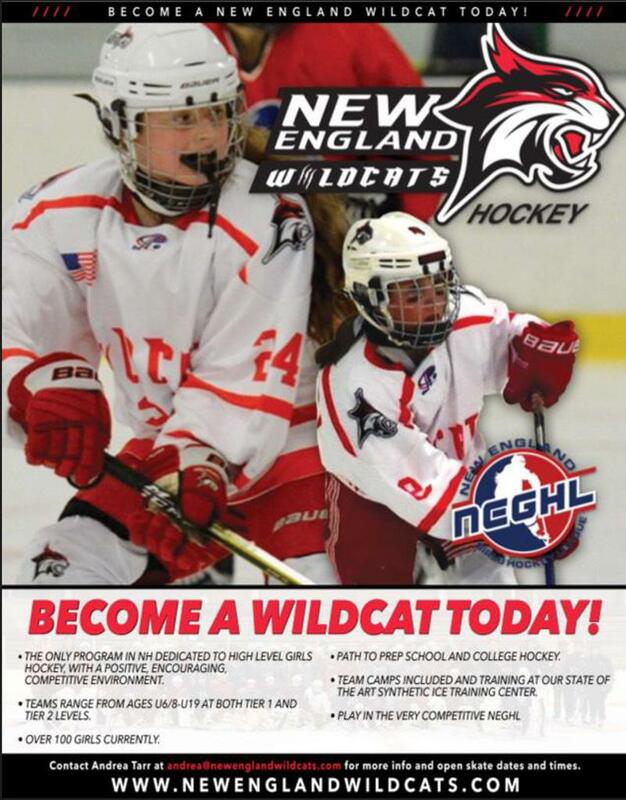 The New England wildcats hockey club offers the BEST opportunity for the development in girls' hockey. A competitive playing schedule, coupled with weekly professional skills training, ensures that players develop individual and team skills. ©2019 New England Wildcats / SportsEngine. All Rights Reserved.